What Can Artificial Intelligence Do To Help Your Business Today? 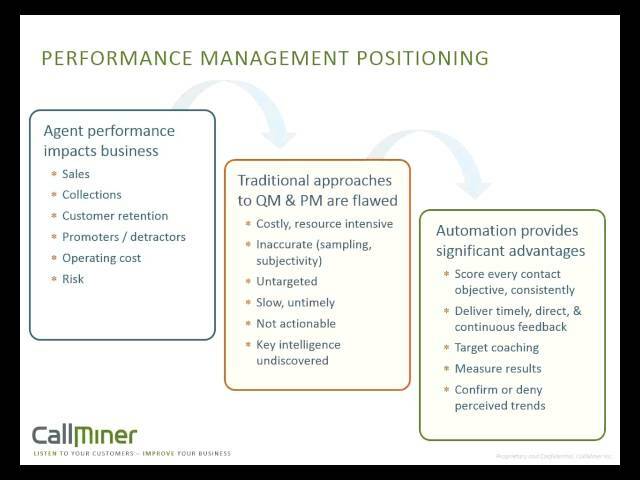 Interested in seeing how CallMiner Speech Analytics can help solve your pressing business objectives in your contact center environment? Contact Us to create your own customized demonstration of how the suite of CallMiner Speech Analytics | Eureka Speech Analytics solutions can optimize your contact outcomes objectives based on your specific use case requirements. CallMiner Eureka is a SaaS-based, customer engagement and speech analytics platform that leverages AI and machine learning to capture, transcribe and reveal insight from 100% of your customer interactions. Automated scoring with sentiment analysis and sensitive data redaction creates awareness at scale with evidence to more effectively drive customer experience, contact center optimization, sale effectiveness and risk mitigation performance. 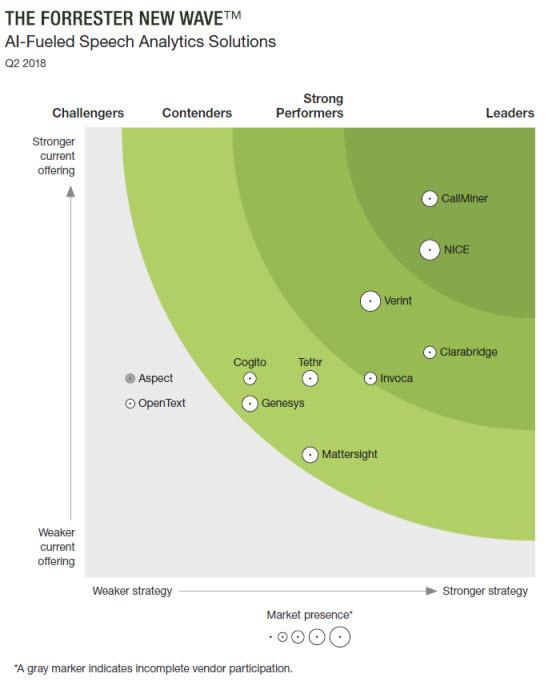 CallMiner Eureka was named Leader in The Forrester New Wave: AI Fueled Speech Analytics Solutions, Q2 2018. Click on the graphic to the right for the full report. Promero now offers the perfect Speech Analytic Software for small-to-medium size business. Eureka Analyze is a cloud-based direct performance feedback solution that leverages automated linguistic/acoustic analysis and performance scoring to improve agent quality through individualized feedback and coaching. CallMiner Eureka Analyze is an award-winning enterprise speech and customer engagement analytics solution now offered to small-to-medium size businesses exclusively through Promero. Promero offers CallMiner Eureka Analyze and Coach in both English and Spanish. Sizing of a customer’s speech analytics services is based on the number of recorded hours per day that need to be analyzed. For most SMB clients, 50 hours to 500 hours per day is normal. Promero’s hosted CallMiner Speech Analytics is the perfect tool. With CallMiner, clients will see immediate improvement in new agent education adoption. A reasonable average cost for on-boarding a new agent based on our research is $8,800 according to Response Daily ($4,000 for hiring, $4,800 for training). 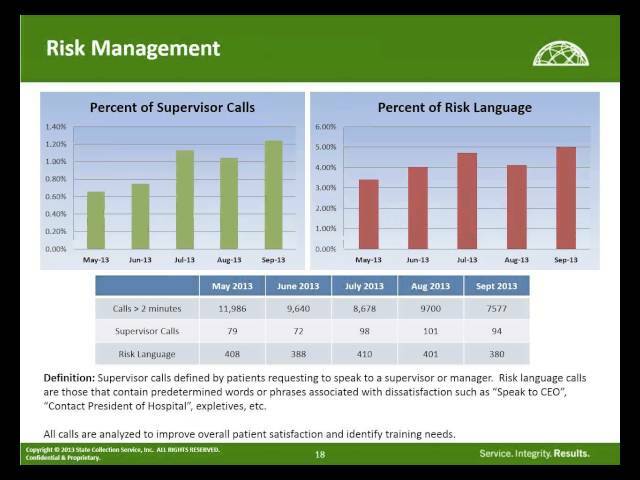 If we assume an annual 15% attrition rate, a 250 agent call center would incur costs of over $325,600 per year. This includes the direct costs for advertising, recruiter fees, testing, screening, interviewing, human resources, training, and extra supervision such as more frequent QM assessments. 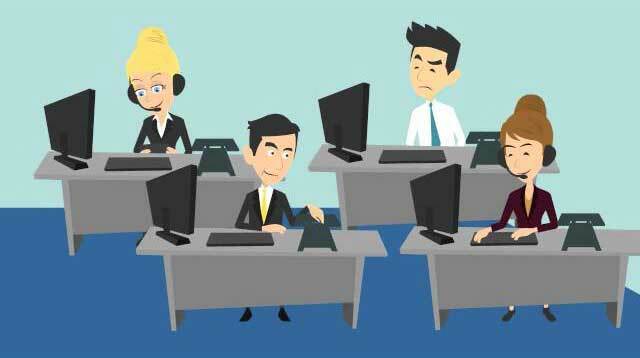 Interaction Analytics has been available to contact centers for the last couple of decades but only recently have leading contact centers come to view the technology as an absolute must-have for delivering a superior customer experience as well as addressing the common causes of agent attrition. 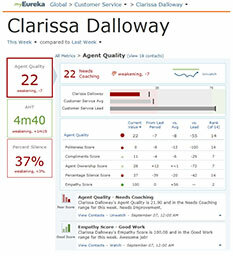 With CallMiner Eureka’s agent scoring, supervisors spend less time doing evaluations of agents and more time coaching. More training leads to improved agent performance and higher customer satisfaction. Successful organizations understand that the quality of agent interactions with customers affects customer satisfaction and consequently customer loyalty. 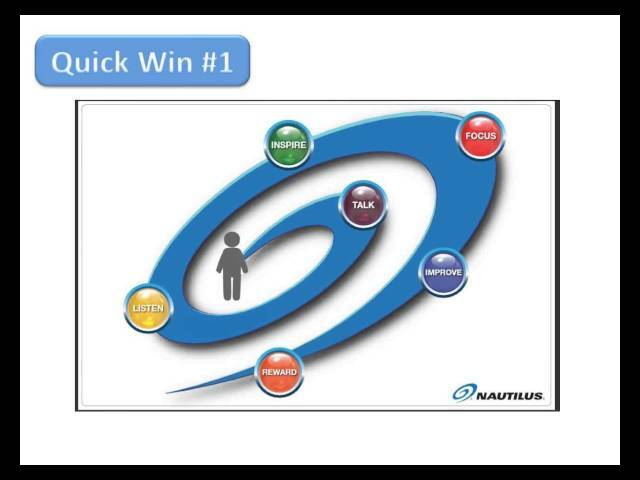 With CallMiner, contact centers have a positive impact on reducing agent attrition. CallMiner is a proud provider of market leading cloud-based conversational analytics solutions for improving agent performance across contact channels. With over 10 years of industry leadership and over 2 billion hours of conversations mined, we are able to deliver exceptional value to customers by delivering highly effective, usable, and scalable speech analytics solutions. On an annual basis, DMG Consulting conducts independent customer satisfaction surveys to measure end-user satisfaction with vendors and their products. This year’s study evaluates the performance of the six vendors analyzed in detail in the 2012 – 2013 Speech Analytics Market Report: CallCopy, CallMiner, Nexidia, NICE, UTOPY and Verint. CallMiner was number one in customer satisfaction, achieving a perfect score of 5.0 in 9 of the 10 categories. CallMiner’s Eureka is the leading solution to improve contact center and enterprise performance through conversational analytics (text and speech analytics). It immediately reveals insights from automated analysis of communications between you and your customers across multiple channels – including phone, email, chat, social and more. Eureka captures customer conversations and associated metadata from any source, converts customer interactions into consistent transcription, automatically evaluates every contact for sentiment, acoustics, categorization and performance scoring. 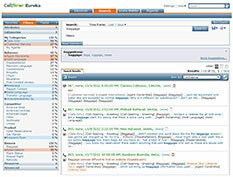 Eureka uncovers the root cause through auto topic analysis and automatically identifies outliers. CallMiner’s Eureka essentials for all aspects of customer service, sales and post call analysis has pre-configured solutions for scoring calls for common customer service, sales performance and outbound collections. 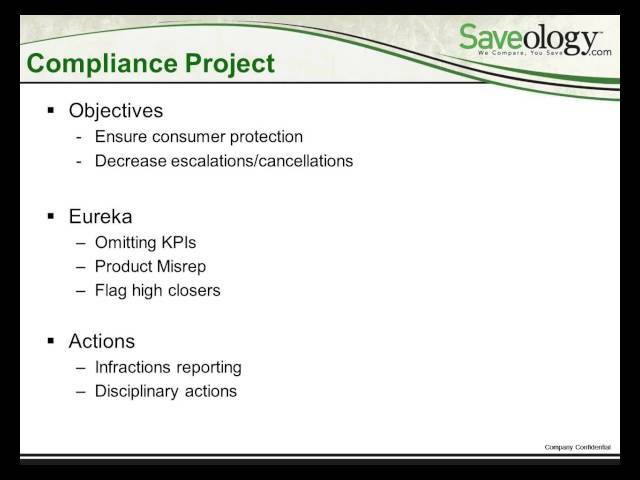 Eureka has standard solutions that identify risk level associated with compliance based on content of the conversation for postsecondary education and tailored contact analytics for energy and utility provider seeking to reduce operational expenses. 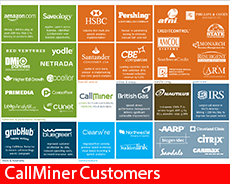 CallMiner has standard solutions that monitor every call for Mini Miranda language, Right Party Contact Language, non-compliance with Consumer Financial Protection Bureau, Fair Debt Collections Practices Act and Consumer Credit Act violations, abusive language from either party and other risky language. CallMiner Redactor uses speech analytics technology to automatically remove PCI sensitive authentication and cardholder data from your incoming call recordings or call recording archives. When PCI sensitive information such as account numbers or security codes is spoken, the audio is muted taking your contact center call recordings out of PCI scope. 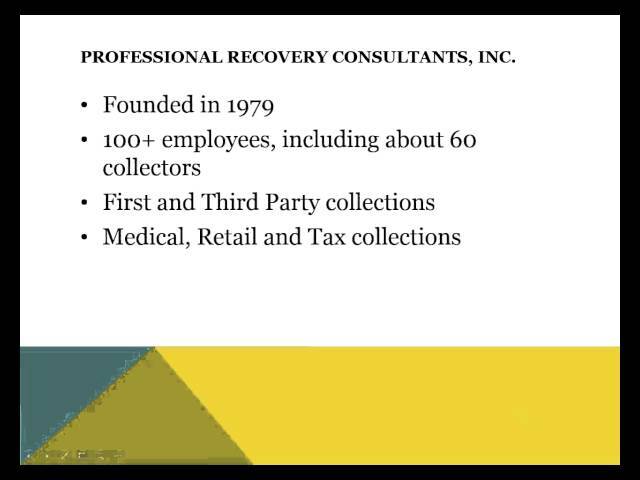 Redactor certifies redaction from call recording archives and does not depend on a change in payment processing, human intervention or integration with CRM systems.